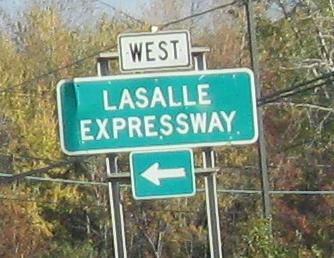 New York Roads - LaSalle Expwy. 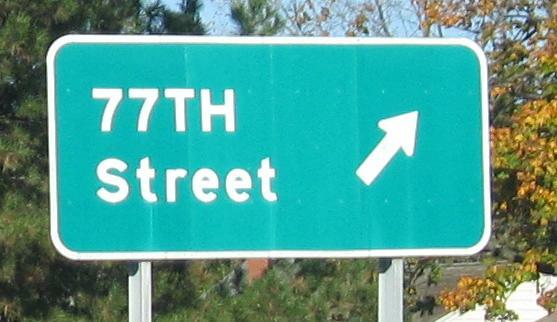 77th St. NB, La Salle. The shield atop this page is on the same street SB. 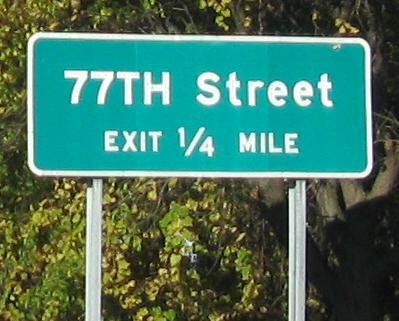 No idea why the Expressway is one word and the town is two. 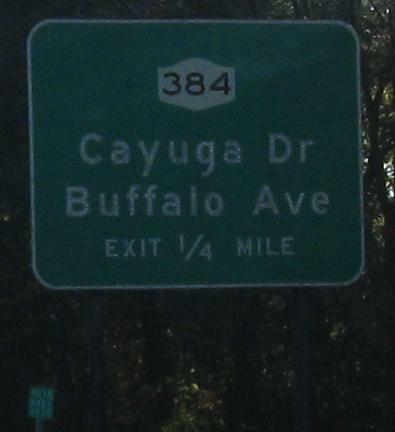 This may be the only square Robert Moses (State) Parkway shield - it has its own new-fangled, stretched version of the NY state route shield. 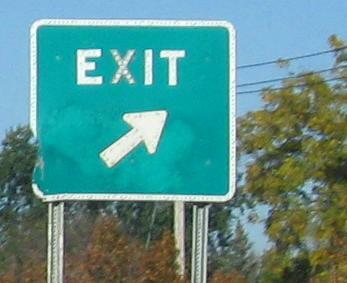 WB button copy leading into that exit. 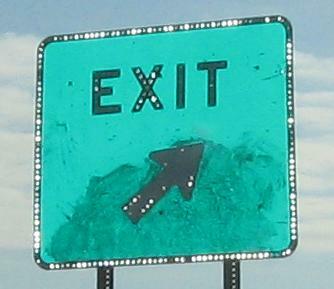 EB button copy on the same stretch of road for the only other exit between the termini (counting Robert Moses State Pkwy. 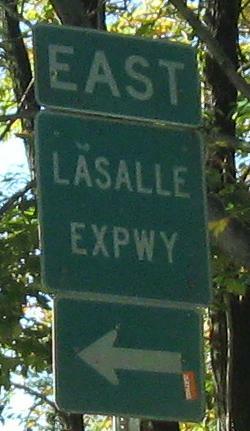 as part of the western terminus). 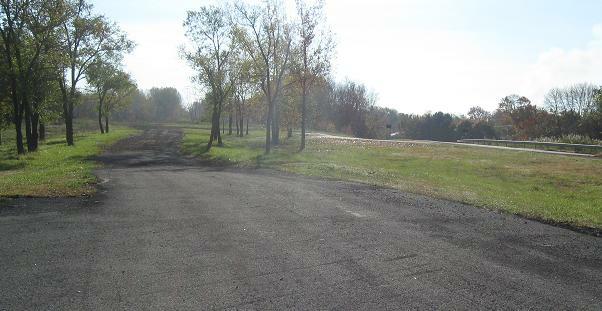 Williams Rd. 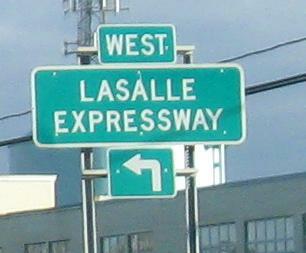 NB at the eastern beginning of LaSalle Expwy. It's mostly signed with little shields like you see atop the page, so these could be considered errors. 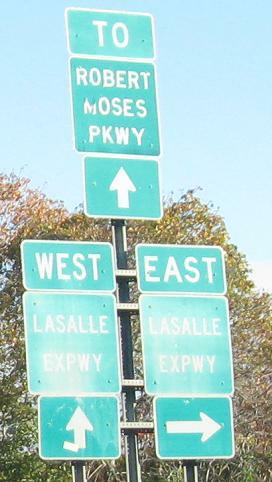 Facing east at the eastern expressway stub. 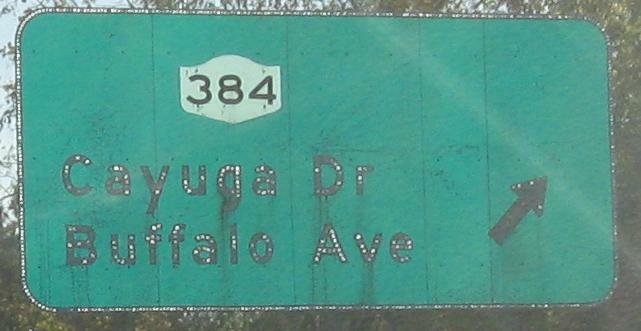 It was part of a grand outer beltway plan that would have connected to an extended NY 425 arterial in North Tonawanda, circling around to NY 179 and the Mile Strip Expressway.